Following the change of government, there has been a renewed interest in tapping alternative sources of finance for energy and infrastructure projects that the present government plans to undertake. LONDON: Sukuk has emerged as a competent alternative to conventional debt financing for large infrastructure and energy projects, globally. In developing countries like Pakistan, such projects are typically undertaken by the government due to the tying up of capital over a longer period and low and intermittent returns. According to S&P, “the asset-backed nature of Islamic financing provides a better funding match for infrastructure projects than traditional lenders.” Furthermore, sukuk investors typically have an appetite for longer periods and prefer stable and predictable cash flow, traits associated with infrastructure or energy projects. Consequently, the State Bank of Pakistan (SBP) is developing policy guidelines for project/infrastructure specific sukuk as part of its Strategic Plan (2014-18), which are expected to be released in 2015. 1) All sovereign sukuk issued thus far are for infrastructural assets but are not necessarily used for infrastructure projects. This is important for any new financier/investor to understand that the funds raised over infrastructure assets may in fact not be used for infrastructure projects. 2) In terms of Shariah structures, Pakistan sukuk appears to be more innovative compared to other countries where the use of Murabaha system has been prominent. Pakistan sukuk structures favour diminishing Musharaka and Musharaka Shirkatul Aqd. An important innovative structure that claimed to have changed the landscape of the Pakistani sukuk market is short-term sukuk based on Shirkatul Aqd for power-producing companies. 3) For any investor who wants to ensure that the funds raised for infrastructure projects are actually used for such projects, it is important that an appropriate structure is used for the chosen sukuk. Musharaka-based sukuk and those based on the principle of Istisna may in fact ensure that the investors have real exposure to the underlying infrastructure project. These include small ones valuing around $20 million (Foundation Wind Energy plans to finance $20.5 million renewable energy projects through sukuk) to $1 billion. The government must raise funds domestically and internationally. It has shown interest in using Islamic finance as a tool for raising capital and the role of SBP is being beefed up. There is a representative list of projects that may be financed through a sukuk programme. Among them is the construction of a power park with installed capacity of 6,600 megawatts that the Ministry of Water and Power is planning. The park with 10 units of 660MW each will be established in Gadani near Karachi. The 4,500MW Diamer Bhasha Dam is another project and requires billions of dollars. Other projects in the pipeline which have been approved recently include Dasu hydropower project (2,160MW), Faisalabad-Khanewal Motorway, a new rail link from Islamabad to Muzaffarabad, new rail link from Havelian to Pakistan-China border, connection between Gwadar and Karachi through rail, approach roads to the new Islamabad International Airport, new Gwadar International Airport, jetty and infrastructure development at Gadani, Gwadar Port Free Economic Zone, Pakistan-China Technical and Vocational Institute at Gwadar and Quaid-i-Azam Solar Park at Lal Sohnra Park Phase-II (600MW). With the aggressive stance of the government on important projects and its interest in Islamic finance, sukuk can be an important avenue to fund these projects. The government also plans to issue a euro-denominated sukuk after recent success of a sovereign dollar-denominated bond. 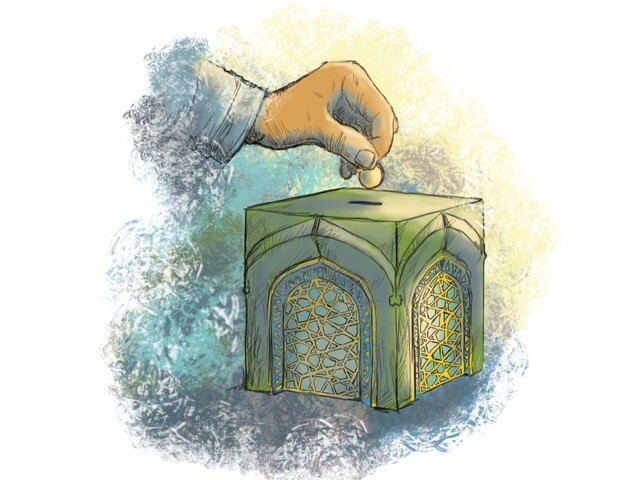 In light of the above, a $5-billion sukuk programme may be initiated to raise funds. The government must commit some money in the budget while other components can be raised from international capital markets. In this respect, Malaysian Islamic financial institutions may be more helpful than their counterparts in the Middle East. The proposed sukuk programme should start with a $1 billion issue for the first project with regular tranches over a period of three to five years. In Islamic capital markets, larger issuances of sukuk have attracted more publicity and fund-raising than smaller amounts. A $5 billion issue for infrastructure and energy projects is a story that must sell. Possible structures for the sukuk programme may include Istisna and Musharaka-based arrangements. This will ensure that the funds raised remain tightly tied with the underlying projects and are not used for general public sector borrowing requirements.